What is the Big Deal About GMOs? Home | Blog | What is the Big Deal About GMOs? << Exercise Your Way to a Healthy … Brain? Carissa Andrews is an passionate author and freelancer from Minnesotan with a focus in creative writing. Here in the United States, GMO and GE foods are a pretty big deal. Love or hate them, they bring up a very important topic that should be addressed: Should we be playing God with our foods? For those of you unaware, GMO stands for genetically modified organisms. GMOs can be microorganisms, plants, or even animals. This impacts everything from the cereal in your bowl, to the type of food you feed your dog. For crops created by specifically designing a genome, they also have a term: GE or genetically engineered. While it might seem like a great idea to alter a plant’s genetic structure to resist pests, or to be more hardy, for example, the implications can have a further reach than what’s originally implied. The knock-on effect is the grey area which is cause for concern for many when it comes to genetic modification. In 1994, we began the sale of tomatoes which had their genetic structure altered. Since then, the biotech industry has exploded in America; primarily focused on cash crops in high demand – corn, soybeans, canola, cotton. By last year (2015), 92% of all corn, 94% of all soybeans, and 94% of all cotton produced in the United States came from genetically modified strains. When it comes right down to it, what’s the big deal about GMOs and GE foods? There are a number of pros and cons to consider and there’s no easy answer. The effects GMOs and GE foods have is much like the Butterfly Effect; it can far reaching, lasting impacts on mankind and the planet. There are many different ways a GM/GE crop can be modified, but many are done so with some form of resistance in mind. Typically, they’ve been specifically genetically altered to be insect, drought, or disease resistant. According to the University of California – San Diego, a toxic bacterium is inserted into the DNA of certain plants to make them insect and pest repellant, and is considered by them safe for human consumption. As our planet population increases, we’ll need to find a way to feed everyone. In a world where bees are dying off in droves (a whole different topic), genetically modifying or engineering may be humanity’s saving grace, if applied in a way that allows plants to pollinate or regrow themselves. Right now, genetic modification is helping plants to be more hardy; withstanding some of the problems they once faced – which increases the yield by farmers. Some plants and animals have claimed to be genetically altered to have their flavor enhanced. The United States’ first GM food, the Flavr Savr tomato in 1994 was one such product, though it failed to attract consumers. In countries where adequate growing conditions could deter them from being able to grow certain crops, GM/GE plants may be the only option they have. Hypothetically, having the DNA altered to have added certain vitamins and minerals could increase viability and allow more people access to food. Because many crops can be genetically modified or engineered to have all or some of the above benefits, the impact on the environment is touted as one reason GMO/GE plants are better. If a plant is insect, drought, or disease resistant, the need for chemical fertilizers, pesticides, or herbicides reduces in theory. Since the late 1990’s, food allergies have skyrocketed and it’s entirely possible GMOs are at least partially to blame. Gluten sensitivity, for example, is on the rise – some 40% of Americans have some intolerance now – which is nearly double what it was 20 years ago. According to Brown University, one of the ways GM products can trigger allergies has to do with the modification or addition of proteins that weren’t indigenous to a plant or animal. In some cases, proteins from an organism you’re allergic to can be added to a food you would otherwise not be, prompting the allergic reaction to the GM food. In GMO wheat, a new protein called Gliadin binds to the opiate receptors of the brain and in most people, stimulates their appetite. In fact, many people who eat GM wheat consume 400 more calories per day. For a country with an obesity epidemic, this kind of unconscious caloric consumption can be the distinction between fit and flabby. It can also negatively impact behaviors in children and adults with ADD, and autism – among other behavior-related mental issues. Studies are only beginning to scratch the surface on how genetically modifying plants could impact their nutrient density. As it turns out, GMO veggies and fruits suffer from nutrient depletion, as opposed to their organic counter parts. When we inject livestock with insane levels of antibiotics, it stands to reason those antibiotics will stick around to some degree in the food we consume. Studies have shown for a while an increase in antibiotic resistance in humans in relation to GMO consumption. Because much of our GM plants are being fed to livestock, the ramifications of GM foods have the ability to trickle down to us via the meat we eat. In fact, 98% of the US’s soybean crop, for example, is used to feed livestock. When it comes to the quality of meat we eat, it’s important to note what our animals eat impacts the quality for us as well. For instance, a cow who’s fed a mash of GM corn instead of set out to pasture will produce significantly different meat than the pasture-fed cow. GMO and GE plants have the conceivability to contaminate other crops (specifically heirloom and organic), or escape into the wild. Despite the guidelines to separate GMO and conventional or organic crops, this has been documented in many cases already, whereby an organic farmer’s crop is destroyed because of GM/GE pollen and seeds contaminating their yield. What’s more, there have been cases where the patented GM/GE seeds/pollen contaminated a farmer’s crop who hasn’t paid for them. The farmer whose crops are invaded can actually be fined for the contaminating crop growing on their property – even if those seeds are destroying their own yield. Scarier yet, GM/GE plants could end up evolving into weeds or plants that are nearly impossible to destroy. In doing so, it could also mutate into super-organisms that outcompete a natural plant or animal species – forcing them into extinction. 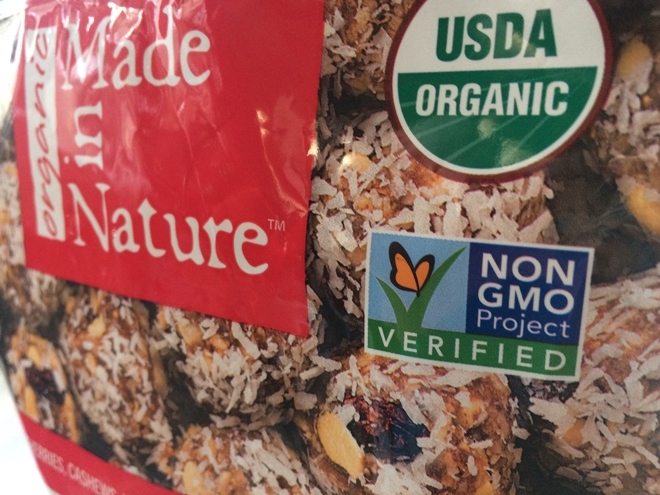 The FDA has determined GMOs are “generally recognized as safe" (GRAS) and don’t require any additional tests if it can be proven the GMO product is equivalent to the non-modified food. 90% of Americans want GMO and GE foods to be labeled, but as of right now, there is no such labeling that exists in the United States. In fact, the US and Canada are some of the only developed countries which has no specific labeling law in place for GMO/GE foods. Since its inception, the effects GM and GE foods have on the human body have not been thoroughly tested. In fact, many of the safety studies that have been conducted have been linked directly back to biotech giants such as Monsanto, who have a vested interest in the public approval of their GM/GE product. Many FDA scientists have urged long-term testing since the beginning, but these recommendations were largely ignored, in part, due to politics. While it may still be years before we know the full ramifications of how GMO and GE foods impact other animals and plants, our environment, and our own health, it’s safe to say exercising a bit of caution may one day be the best thing you did for the health of your family and yourself. 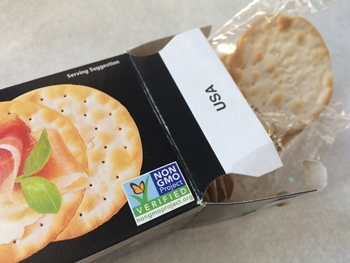 Not all progress is positive, and there’s plenty of cause for concern until GMOs and GE foods have been thoroughly tested and regulations enacted.